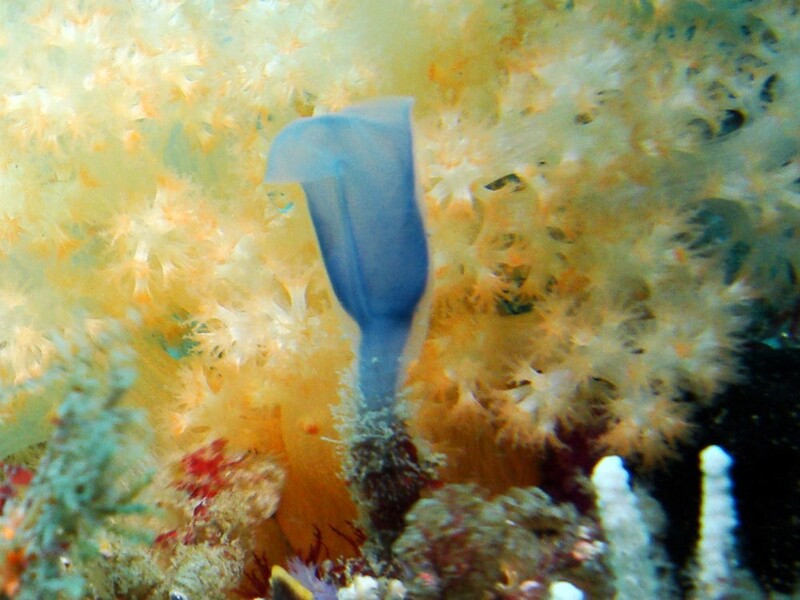 features: Singular tubular flute glass shape body with a single stem. 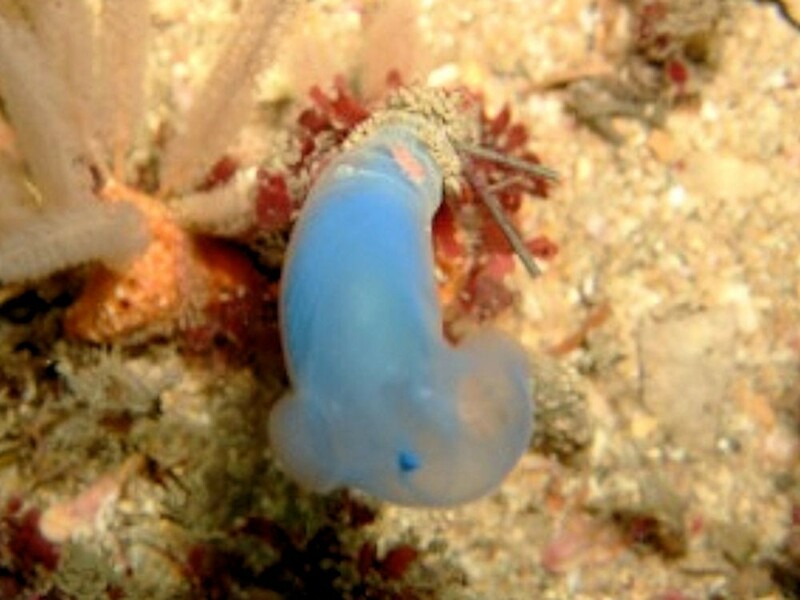 Two tube-like openings can be seen on the top part of the body. 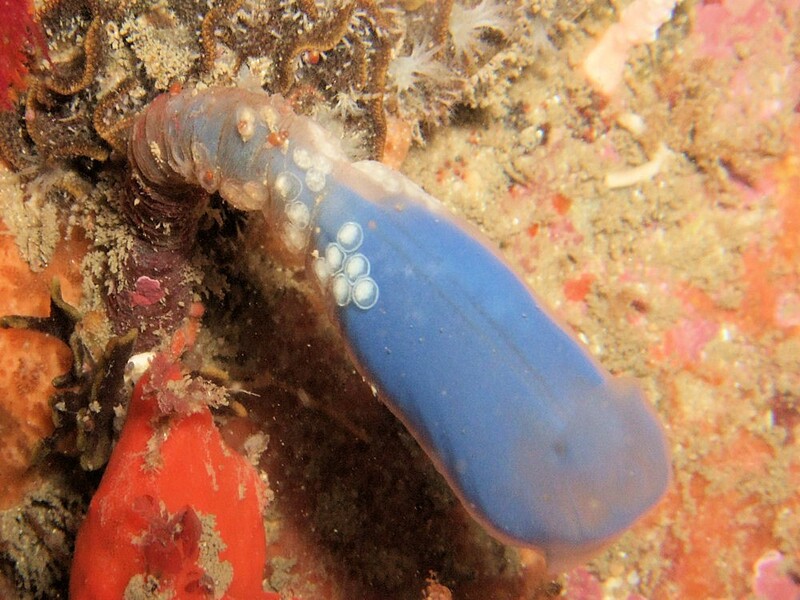 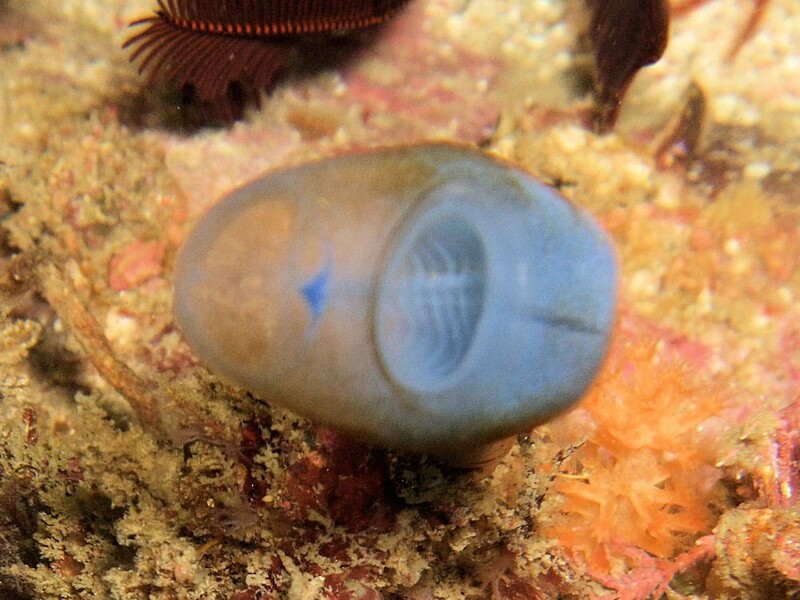 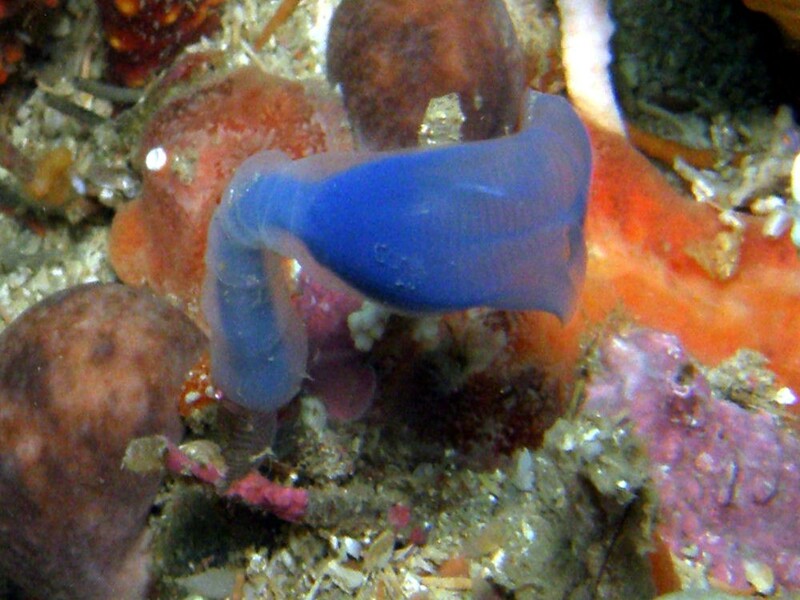 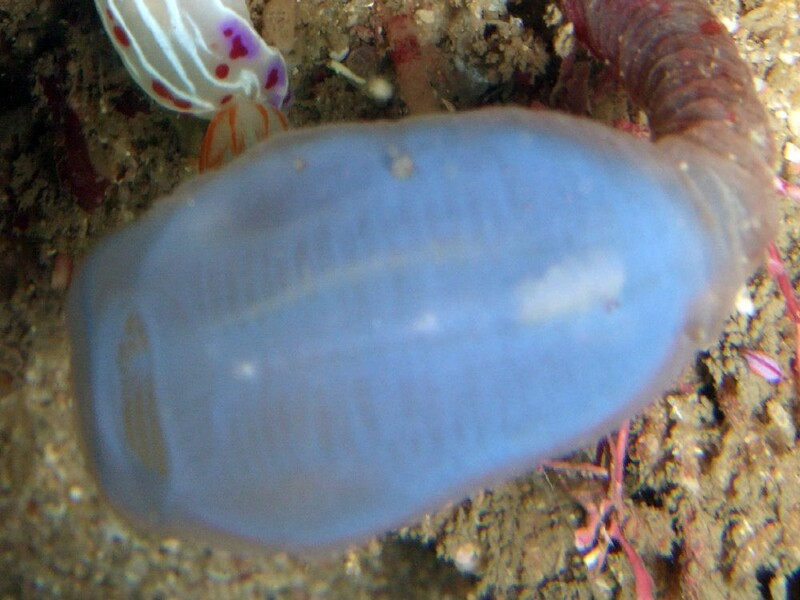 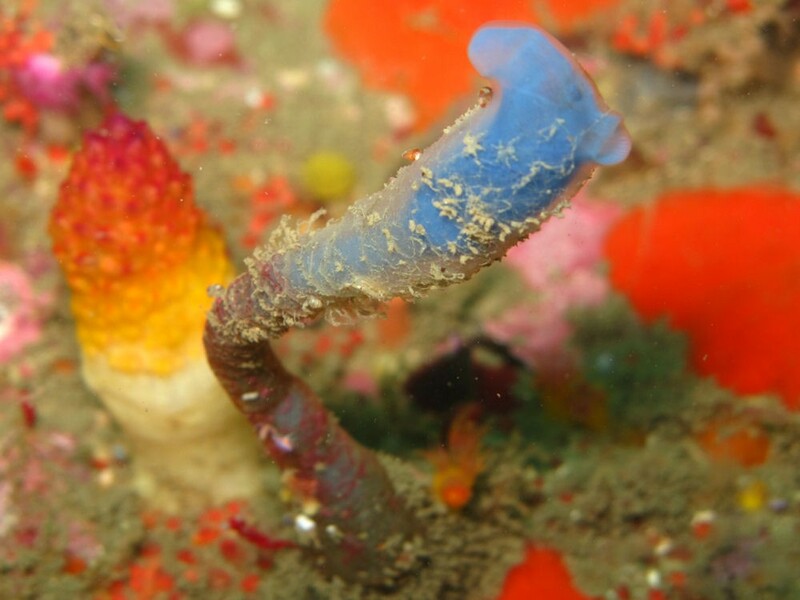 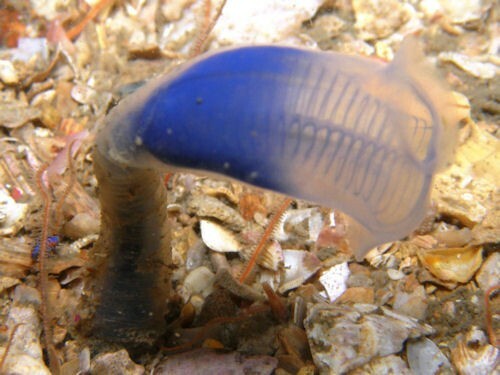 Behaviour: This small sea squirt is a solitary animal, but can often be seen in groups on the reef.